Below is an interview with Jim Kelly, the Communication Manager of KIUC (Kaua’i Island Utility Cooperative), who worked tirelessly in preparing for the Koloa Solar Dedication ceremony of the 12 MW (the largest solar farm in the state of Hawaii). More details of the Koloa Solar Dedication ceremony may be found at Sun Is The Future at www.sunisthefuture.net/2014/12/04. For better understanding of KIUC, it is worth mentioning that in the 1970s, Kauaʻi burned sugar cane waste to supply most of their electricity. 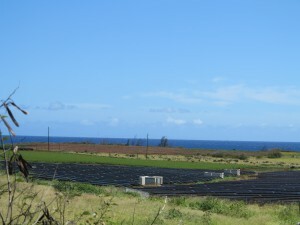 Today, the majority of the Kauaʻi’s energy is produced by importing liquid petroleum. As of 2008, KIUC’s fuel mix was 91.9% fossil fuels, 7.6% hydroelectric, 0.2% biomass, and 0.2% solar. KIUC offers $1,000 rebates to residential customers who have solar water heating systems installed on their homes by Energy Wise Participating Contractors. 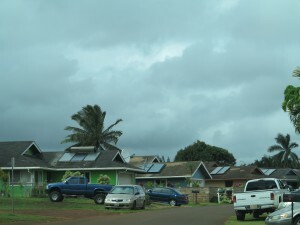 With about 30,000-31,000 customers on the island of Kaua’i in Hawaii, KIUC is the only electric cooperative in the state of Hawaii. This 12 MW solar installation of Koloa Solar will enable Kaua’i to stop burning about 1.7 million gallons of fuel oil and reducing 36,000 tons of carbon emission per year. It is with a conscious decision to reduce their dependence on fossil fuel and to make the transition toward the clean and renewable energy future that the island residents invested in this project of $40 million (comparable to building a conventional power plant). 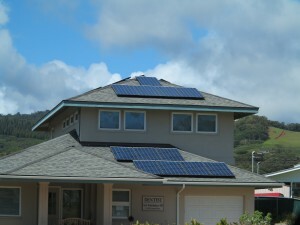 With this investment, they will not only be able to lead the way in renewable energy use on the planet earth now, but it will also benefit future generations of Kaua’i in sustaining the most clean environment for many decades to come. Kauaʻi Electric was incorporated in 1905 as a subsidiary of McBryde Sugar in order to construct a 2.4 MW hydroelectric plant on the Wainiha River. Kauaʻi Electric merged with Lihue Plantation’s Waiahi Electric Company early in the 1950s. 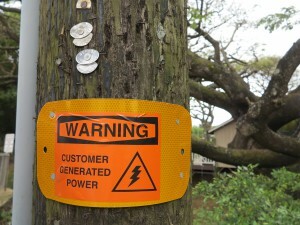 Kauaʻi Electric became a division of Citizens Utilities Company in 1969. 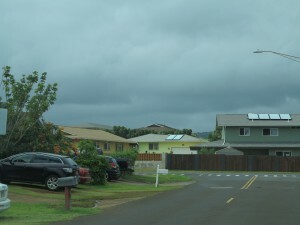 In the late 1990s, Citizens Utilities announced its intentions to divest from the electric utility business and a group of business leaders from Kauaʻi joined to found the Kauaʻi Island Utility Cooperative. 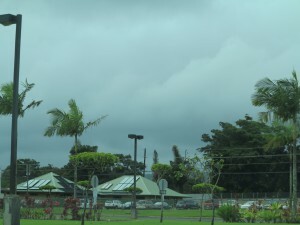 KIUC purchased Kauaʻi Electric Company on 1 November 2002 for $215 million. Yes, Kaua’i is definitely blessed with island residents who aim to live in harmony and spirit of conservation with Mother Nature. We will look forward to hearing/reading more about Kaua’i experience in the pursuit of a Clean and Renewable Energy Future!